Stockholm - The president of the European Jewish Congress says Sweden needs to be vigilant of anti-Semitism among some refugees seeking shelter in the Nordic country. 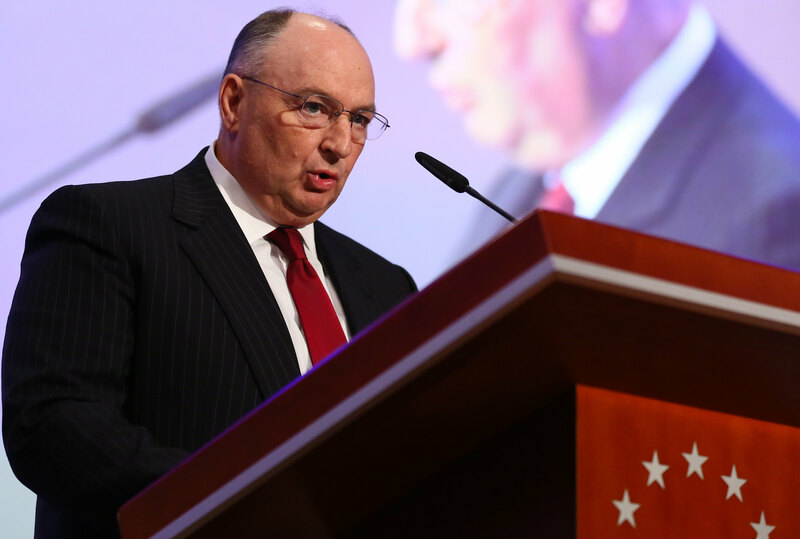 Moshe Kantor on Tuesday said that while Muslim refugees also face bigotry and racism, “anti-Semitism remains a significant problem in Sweden” and should be prioritized. Kantor spoke to The Associated Press after a meeting in Stockholm with Swedish Prime Minister Stefan Lofven. Sweden has received more asylum-seekers in recent years than any other European country, except Germany. Most come from predominantly Muslim countries including Syria, Afghanistan and Iraq. “As Europeans we should be greatly sensitive to the suffering of others, especially those who are running away from oppression, but we cannot afford to import those conflicts and the mindset of hatred which sometimes created them onto the European continent,” Kantor said. The situation of Sweden’s small Jewish community came under scrutiny six years ago as Jews in the city of Malmo said they faced threats and abuse, mainly from immigrants from the Middle East. Some even moved to Israel, saying they felt safer there. Statistics from the Swedish National Council of Crime Prevention show that in 2014 there were 270 reported hate crimes directed against Jews and 490 directed against Muslims. Lofven’s spokesman Dan Lundqvist Thelin said the prime minister was not available for comment, but added the government would post information about the meeting on its website later Tuesday or Wednesday.